I seldom go to the north. After all the MRT news and horror stories, I haven't owned a stored value card for a long long time. But last Monday was an exemption. I had an exciting wedding client (aka my cousin) who went home all the way from Singapore for last minute wedding preps. With packed schedule, I told my cousin I can meet with her in a place most convenient for her, and since she's staying in Fairview, off to Trinoma I go. 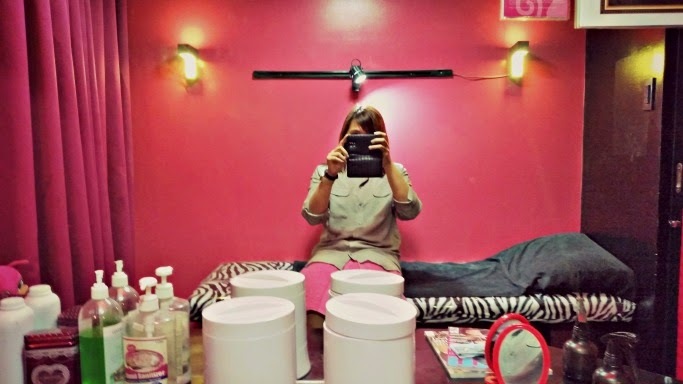 And because I was there nadin anyway, I decided to maximize my time by visiting Pink Parlour in SM North The Block after the meeting. Pink Parlour's Marketing Officer Nino invited me to try out their new gel polish selections. Summer is here, I needed to let go of my gray polished nails. 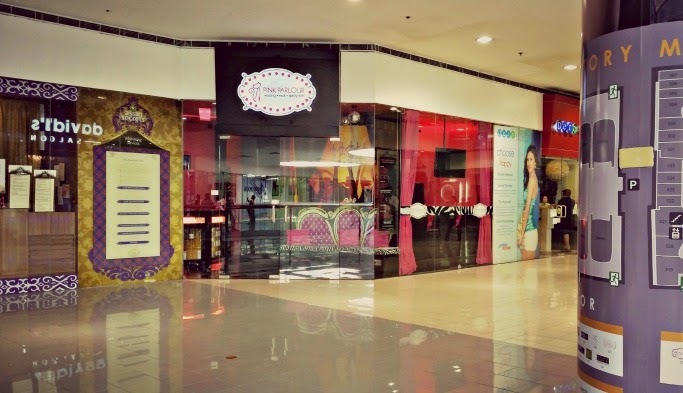 Naalala ko pa when Singaporean waxing salon Pink Parlour launched this branch, their very first in the country. 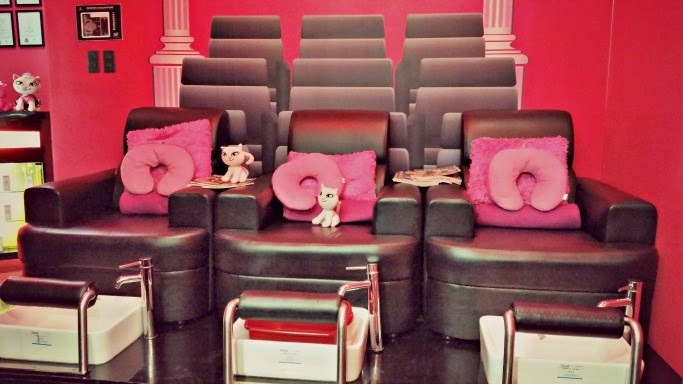 This place was packed with my blog friends wanting to try their gel polish and (hehe) brazilian waxing service. Back at the red room, chos. Pink Parlour is still the best for me when it comes to brazilian waxing. Clean, not awkward, and *almost* pain-free. 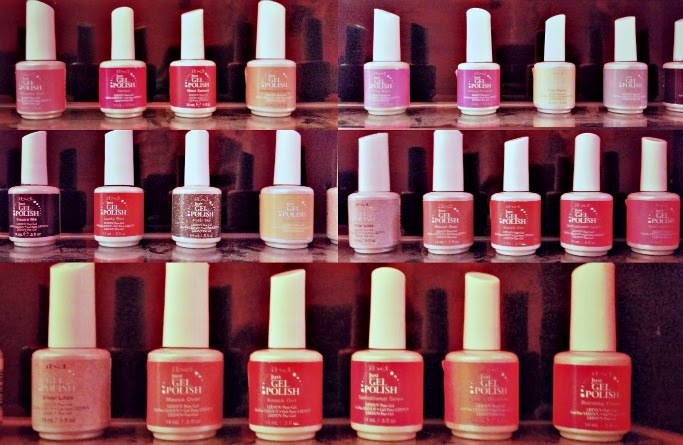 Now for my main agenda, my nail technicians made me choose from the hilera of IBD Just Gel Polish - a new brand in the salon. I am back with red tones, and picked "Maui Sunset" and "Knock Out". Sabi nila kaoopen lang nun, and I was the first one to use these bottles, hehe. Cool! Here are the other options for the IBD Just Gel Polish colors. Gel polish dries quickly, I even wore my shoes na after the application. Convenient and cute, I highly recommend this especially when you go travel for a week and don't want chipped nails. For the service rates, visit this page! 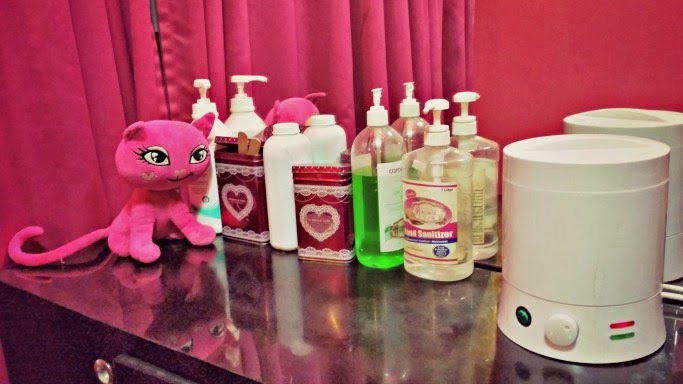 Visit Pink Parlour in SM North The Block, A. Venue Makati, and SM Pasig. Follow @pinkparlourph, and like them on Facebook! wow. 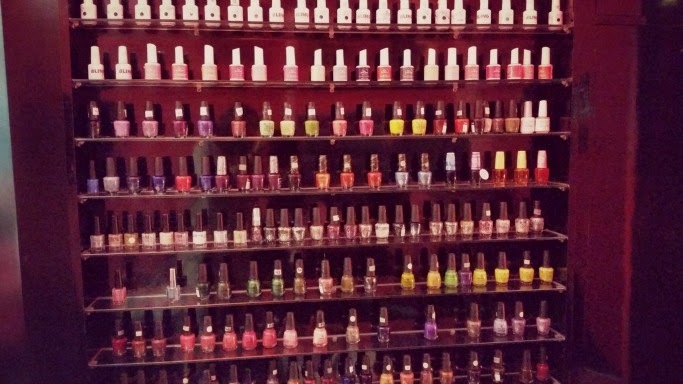 I wanna try the gel polish! omg omg!